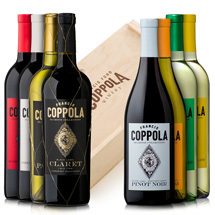 An Francis Ford Coppola Winery exclusive! 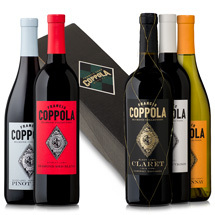 A novel take and salute to our award winning Diamond Wine Collection. 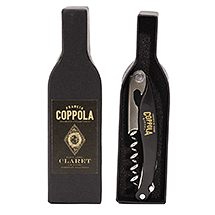 Each corkscrew is sleek in design and has a stainless steel lever and serrated knife and a soft nonslip rubberized finish that matches each different Diamond wine label. Each comes in a mini version Diamond wine bottle box. 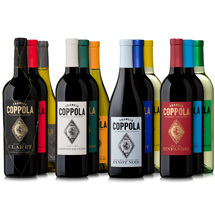 Makes the perfect hostess gift along with your favorite Diamond wine. Collect all 12!